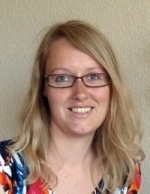 Nynke Bosscher MSc (1985) is social pedagogue and works for the Netherlands Youth Institute, the Dutch national institute for compiling, verifying and disseminating knowledge on children and youth matters. She is involved in national and international knowledge exchange regarding current issues in the Dutch child welfare sector, like empowerment, strengthening frontline services, parenting support, the role and tasks of social workers and the training of professionals. Nynke conducts research, organises events, contributes to conferences and writes (web) texts. In the past she gave parenting support at a community school and coordinated a Home-Start project in which volunteers support families.